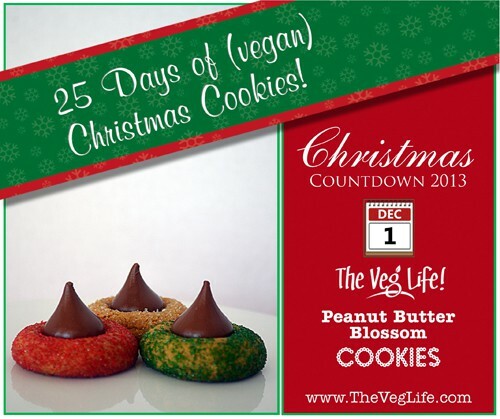 Peanut Butter Blossoms, also known as Peanut Butter “Kisses” are one of my absolute favorites and now…they’re vegan! 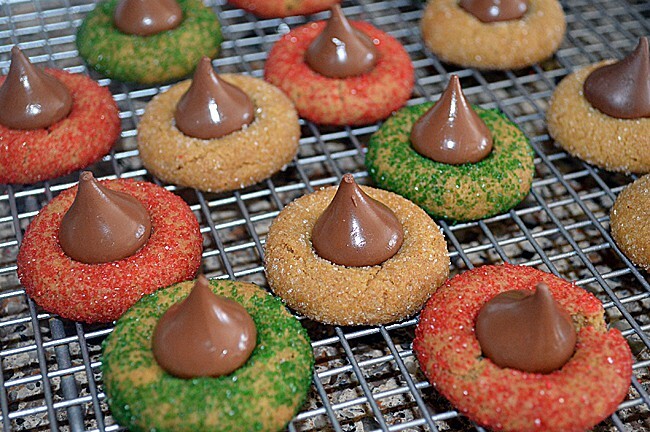 Our homemade kisses are a little bit of work, but SO worth it! 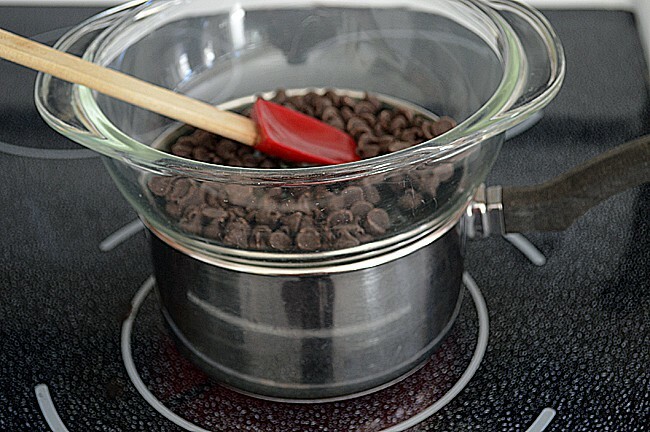 Begin by melting chips over a double boiler. We used a dairy free chip easily found in grocery or specialty stores. You can also buy them here. 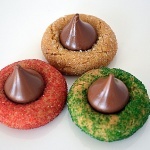 You’ll find these plastic kiss chocolate molds in baking catalogs or online in candy making stores. They may not be as precise at those commercially available kisses, but once they begin to melt, you’ll never know the difference! Cream together shortening, peanut butter, brown sugar and sugar. Add the applesauce, almond milk and vanilla. Beat well. Stir together flour, baling soda and salt. 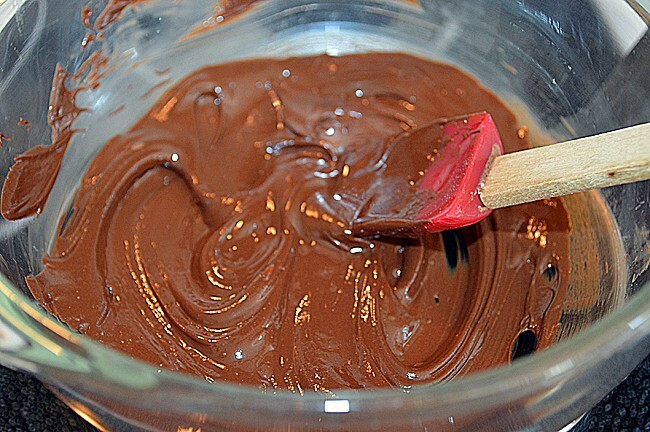 Add to creamed mixture. Beat on low speed until a stiff mixture forms. 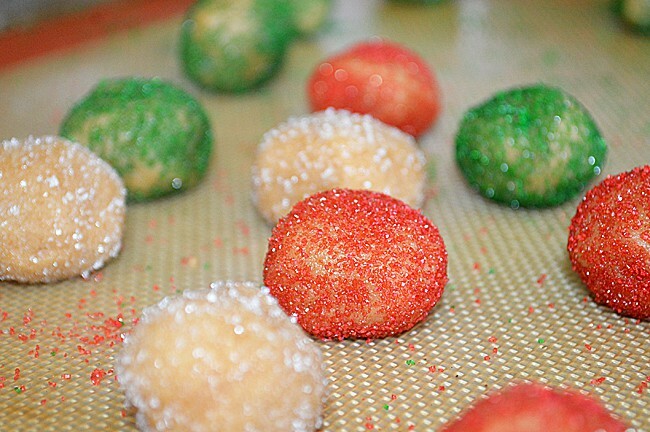 Shape into 1" balls and roll in colored sanding sugar. Place about 2" apart on a silpat or ungreased cookie sheet. 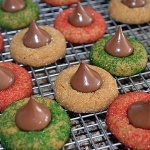 Top each cookie immediately after baking with a chocolate kiss if desired and press down firmly so that the peanut butter cookie begins to crack around the edges. 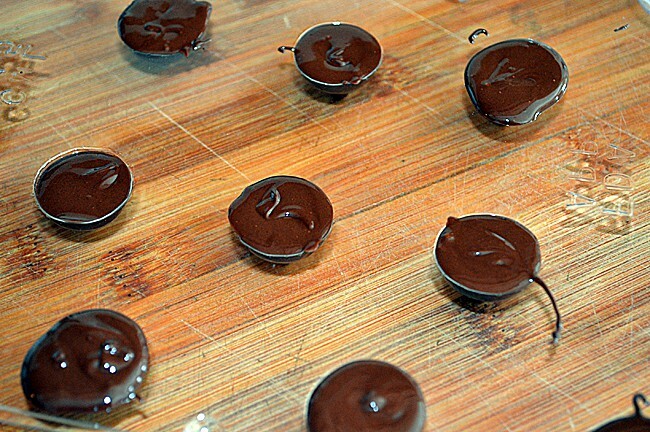 Remove from cookie sheets and allow to cool completely. 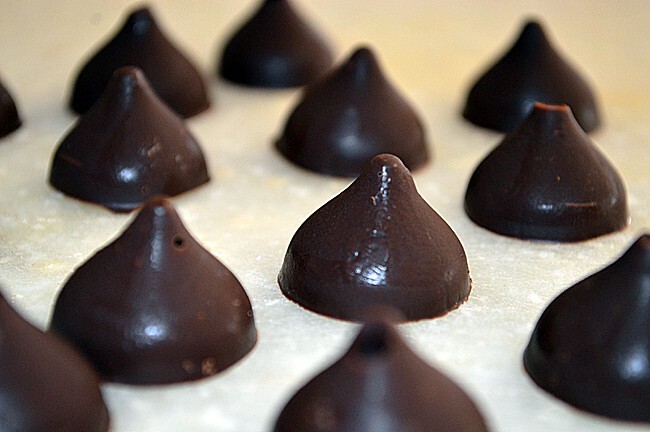 The chocolate kiss will remain soft until completely cooled. Thanks for the vegan option for the recipe, I get a little upset at all the advertisements on your page. Can i use a flax egg in replacement for the applesauce? And if so how much? Just wondering, approx how many blossoms does this recipie make?